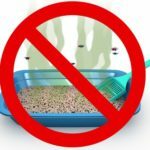 PetSafe Simply Clean Automatic Cat Litter Box Review - Does It Work? 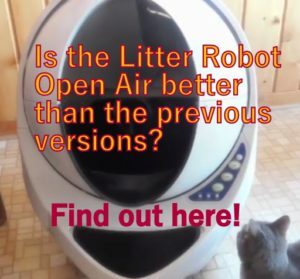 Pet Safe Simply Clean Continuous-Clean Litter Box it is an innovative automatic self-cleaning litter box that works continuously to clean your cat litter box through a ringed litter bowl in a continuous motion that rotates slowly to complete one rotation in an hour. 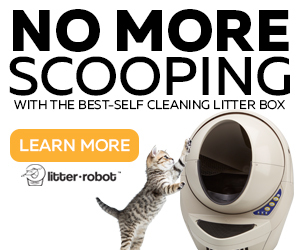 This continuous cleaning process reduces odor and it works better with premium clumping litter. Petsafe Simply Clean Continuous-Clean does not need special supplies to work and you can collect the waste in any bag. It is easy to clean by just grabbing the bagged waste from the container to dispose it. 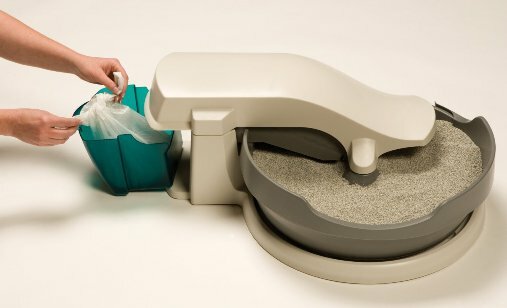 This automatic litter box is suitable for cats up to 12 lbs. It is not recommended to use the unit with kittens under 6 months or cats with any physical limitation. This unit uses a low voltage with an AC/DC adapter (included) and a 8’ cord that plugs into the wall just like a cell phone charger. It reduces the scooping task significantly. 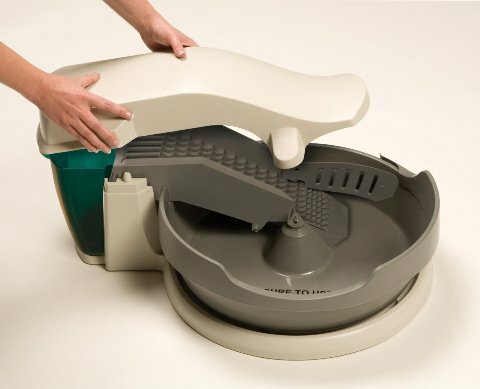 The PetSafe Simply Clean Continuous-Clean system is innovative. 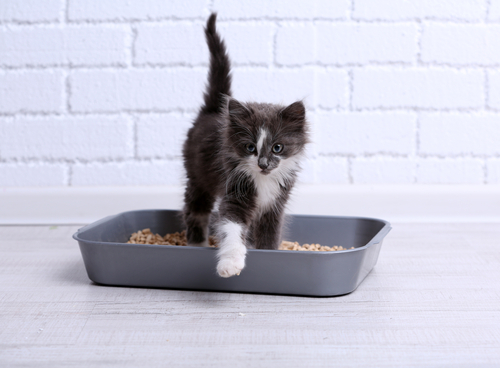 After your cat uses the litter box, the system with its continuous rotation around a conveyor belt acts as an “escalator” where the waste is sifted through and moves up to fall into a waste container to be dispose later. To clean it, simply pull out the collection bucket and toss the cat’s waste in the trash or you can line the bucket with small trash bags or grocery bags in which case you just take out the bag, tie it and toss it, then replace it with a new one in the container. It is very simple. The best result with the Pet Safe Simply Clean is accomplished by using a very good premium clumping litter. The litter box rotates slowly (it moves a small bit about every minute) and as said above, it takes an hour to complete a full rotation. Or you can check this video in Amazon to see how the unit rotates with a better vision from the top unit. 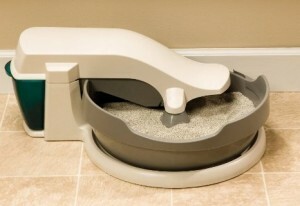 The transition from the old litter box to the Pet Safe litter box is similar to other systems. 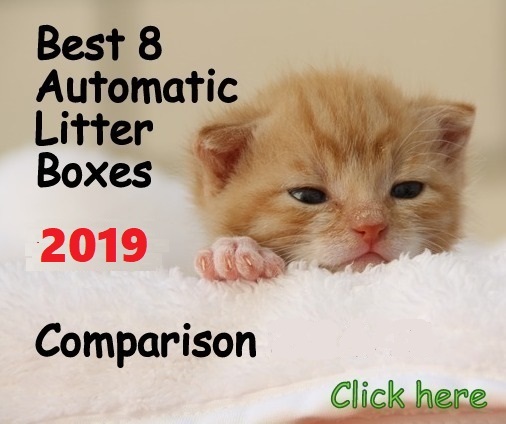 Simply put some waste from the old litter box to the new one or set the old litter box next to the Pet Safe Simply Clean for a while until your cat gets familiar with the new unit and takes it. 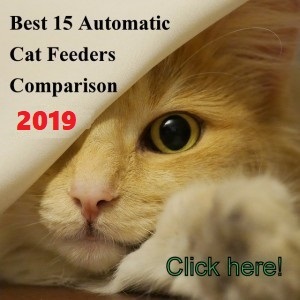 Another option is to maintain the old litter box dirty so the Simply Clean is more attractive for your cat and use it unplugged on the beginning to allow your cat to get adapted to it first. After some days, plug it in. Make sure not to put too much litter in because it will end up on the floor. It is a good idea to buy the best litter mat for your cat, especially if your furry friend is a big-time-digger. Another option is to tape a folder around the ring so this will stop the kicked litter from ending up on the floor. Make sure the waste container fits the unit snugly; otherwise because of safety reasons the system will shut down power even if it’s plugged in, keeping it from rotating and consequently accumulating the waste on the litter area. As its name says, the Pet Safe Simply Clean Continuous-Clean litter box is in continuous and slow rotation all day 24/7, so it’s highly recommended to buy a timer so you can set a number of rotation-cleaning cycles, for example, 2 rotations by day (2 hours cleaning cycle). This way you make sure the motor won’t scare your cat because of being rotating all day and you will increase the lifetime of the motor as well. It is crucial for the good performance of this unit to use Premium clumping litter. Using a dusty litter that does not clump well will destroy this device. It is highly recommended to periodically dissemble and clean the whole unit. By doing this you make sure the gear will keep working properly without litter on it. It is a good idea to lubricate the tray rollers with WD40 as well. Important: When cleaning the unit do not expose the electrical components to water or cleaning solutions. It does not need any special supply to work. It uses any disposable small bag. It has a low price in comparison to other automatic systems. The conveyor cover comes up with small touch. (Solution is to tape it). Litter guards are too shallow. After some time the tray gear starts making squeaking noises (see tips to fix this). It does not have a dome or hood to complement the unit. Not 100% disassembling. Conveyor arm is not detachable. It is a great concept and it works as advertised. When it works it works great but after some time of use the gear starts making squeaking noises and after that it is time to dissemble, clean and lubricate the unit. 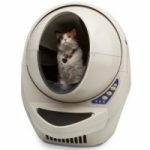 The PetSafe Simply Clean Continuous-Clean litter box is an excellent automatic litter box if you apply some little personal modifications to adapt it to your cat personality and behavior. 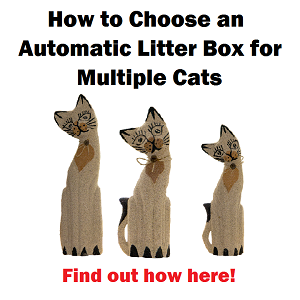 You must get a premium quality litter that clumps well. 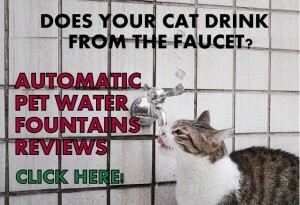 It doesn’t seem to work well with big cats that urinate a lot. 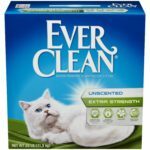 If you maintain this unit properly you will have an automatic litter box that really does the job for you, even though this product does not last a long time. If you have a kitty older than 6 months or an adult cat weighing less than 12 lbs. To be used with one cat (a small cat as said above). To be used sporadically, weekends or short periods of time. 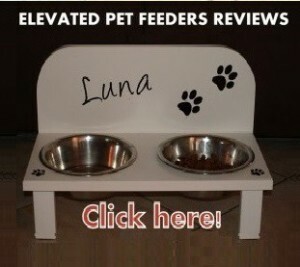 For big cats weighing over 12 lbs. (5.5 kg). 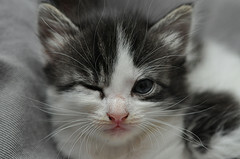 Cats that urinate a lot or with frequent stomach issues. If you want a maintenance-free system. on the market. I have two cats weighing up to 15 lbs. each. Instead of running unit constantly, I found it best to buy a small electric timer to plug it into (available at all hardware stores) so I can set it to come on at specific times. I set timers to come on 30 minutes every hour during the hours the cats are normally active. I did order extra motors at a small cost so I can change them when they wear out (about once every two years). They are easy to install. I have two boxes and each cat seems to mostly use his/her own box. Great feature is that you can use regular plastic grocery bags in the bins. With a little Arm & Hammer deodorizing powder sprinkled into the litter, you can eliminate almost all the cat odor. I empty the boxes twice a week on average and disassemble and clear the bowl and ramp every three months. These are excellent units that I have only had to replace about every 5-7 years. They’re quiet and reliable and allow my wife and I to take 3-4 day trips without having to worry about the cats. My rating would be 80 percent on them. Thanks for sharing your experience Al Want.